On the cover this month: Survival after liver transplantation is dependent on immediate graft function, which in turn is heavily impacted by organ preservation during cold storage. 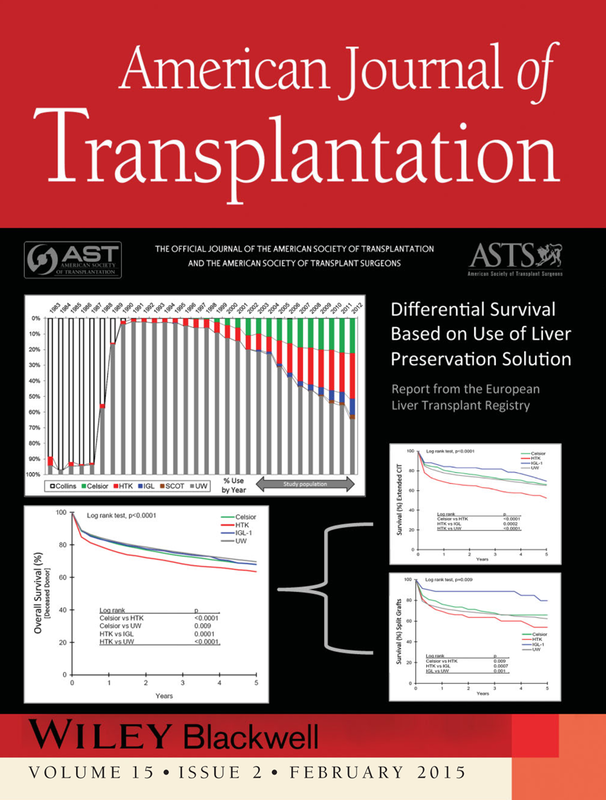 This month, AJT features a report from the European Liver Transplant Registry that shows significant differences in patient survival based on preservation solution use, with marked differential survival in settings that involve prolonged cold ischemic times or split liver grafts. See the article on page 395 and an accompanying editorial on page 295.